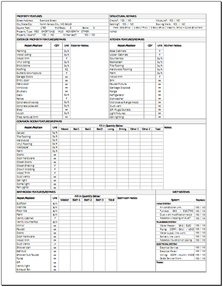 Create Professional Marketing Reports to Advertise your Properties to your Buyer's List. 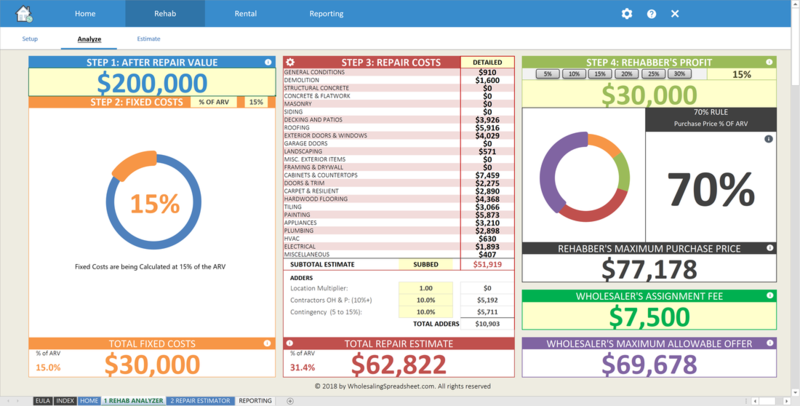 ​The Rehab Repair Cost Estimator has a database of over 300 typical rehab work items, accompanied with national average unit costs so you can quickly and accurately estimate repair costs. 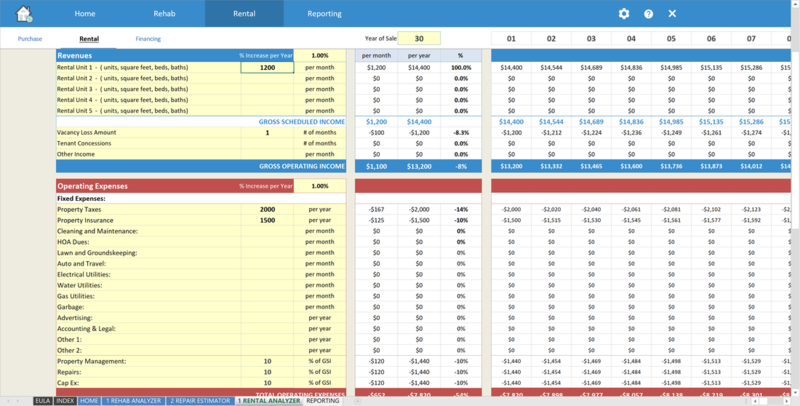 ​Once you've determined the Rehabber's Maximum Purchase Price you will deduct your wholesaler assignment fee/profit to determine the Maximum Allowable Offer you can offer for the property. Evaluate the property just like a landlord or buy-and-hold investor....and determine the property value based upon income capitalization rates, cash flow, cash-on-cash returns & IRR. 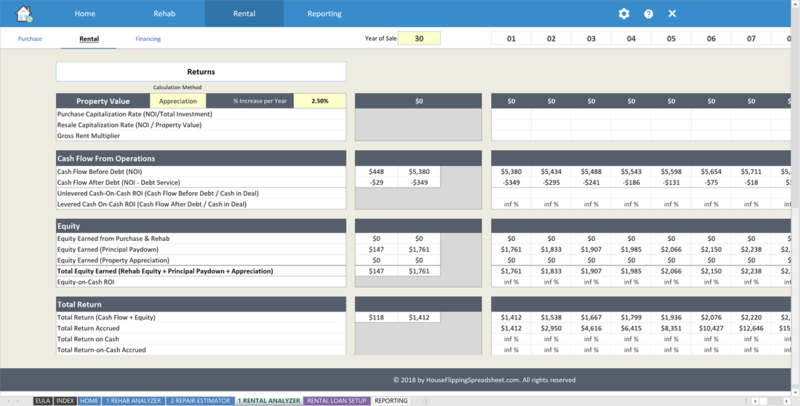 The Wholesaling Spreadsheet provides great reporting options for creating professional marketing presentations that can be marketed to your wholesale buyer's list. 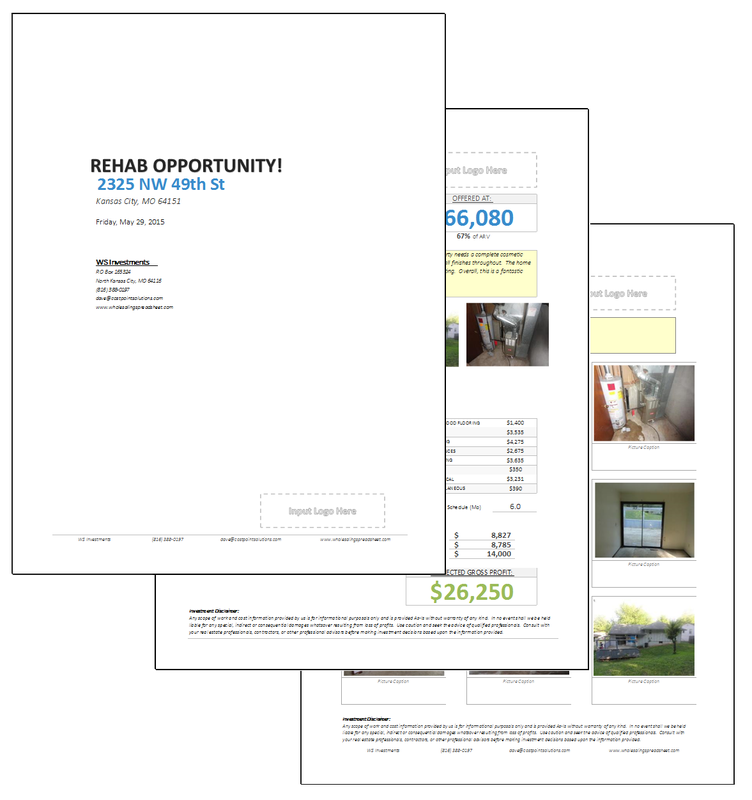 Create a professional rehab marketing reports that highlights project financials and profit projections that can be marketed to your rehab buyers list! 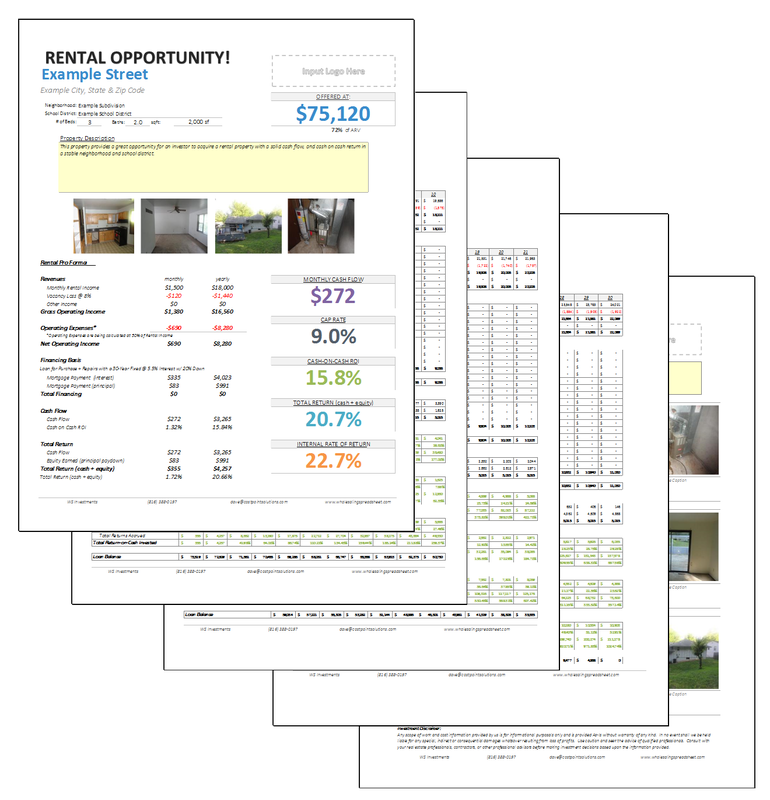 Create a professional rental marketing reports that provide a complete 30-year cash flow analysis, with rental returns, income, cash flow, cash-on-cash, IRR & total return on investment. 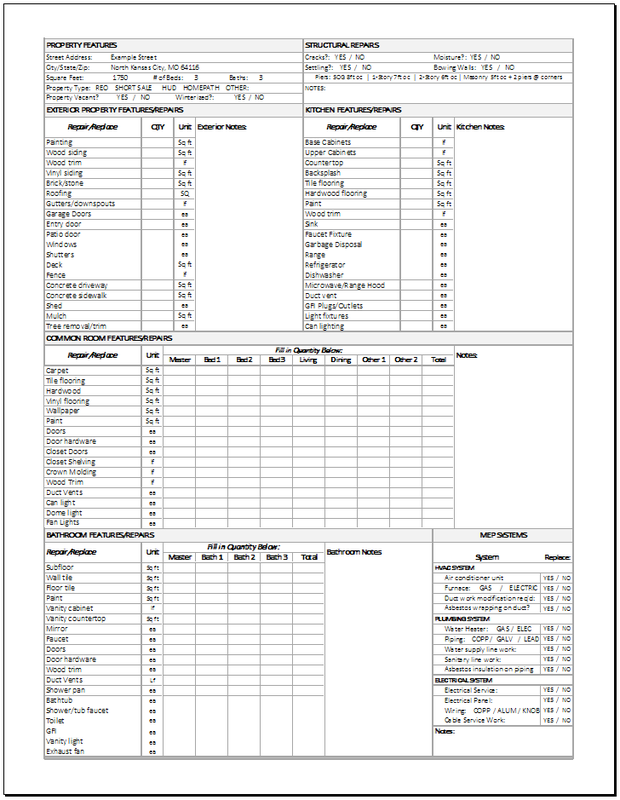 Use the printer-friendly inspection checklist to thoroughly document repairs as you are walking through a property. 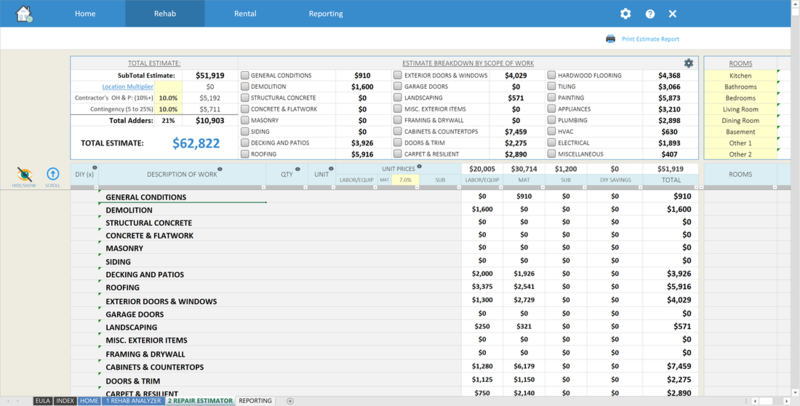 Quickly create a repair estimate report that provides a detailed list of estimated repair items and costs to prove to your rehab buyer's list that you have done your due diligence. 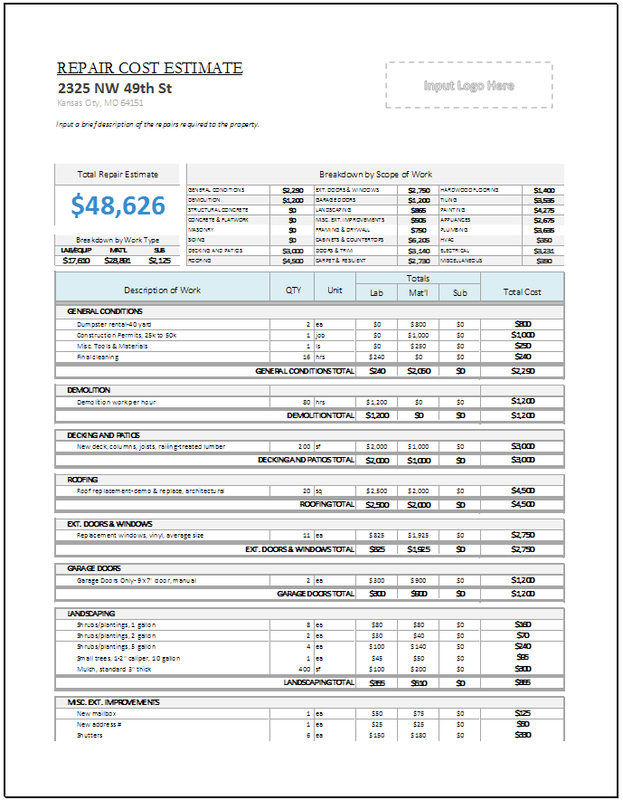 Create a report that can be given to home sellers that breaks down your offer and valuation of their property. You Will Receive All Future Product Updates Completely Free!